We recently reviewed some of the best cases that provide the best drop and scratch protection for the iPhone. So now it is time to review another one of these best protective cases, the Amzer Crusta for iPhone. Amzer manufactures and sells a wide range of high-quality cases that protects phones and tablets from everyday wear and tear. But the Crusta is the best among these cases when it comes to providing the best drop and scratch protection. What I like about this case is that aside from providing a rugged protection for my iPhone, they also have a wide range of colors to choose from, so you can have more freedom of style compared to the other rugged case brands. So now let’s take a look at the cool features of this case. 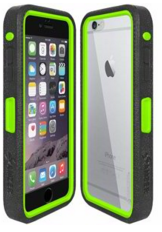 The most striking feature of the Amzer Crusta case is its awesome drop protection. It is 6 ft. drop proof so your phone will get no damage and scratch even if you accidentally drop it to a hard surface like a concrete or hardwood floor. An iPhone’s price ranges from $750 to $950 so when accidents like this happen, you just saved yourself a huge amount of money. The high impact resistance from drops is provided by the Textured Finish TPR Ring with Nano Air Cushion Technology. It’s a rubber bumper covering the outer sides of the phone and absorbs the impact when you drop your phone. The latest iPhones have a very smooth texture. The bumper provides a good grip so your phone is less prone to drop. The bumper is also available in many colors so you can select from a variety of style. One of the things that I personally complain about rugged cases is that they make the phone’s volume and power buttons difficult to push. The Crusta’s bumper, on the other hand, has a cool design which allows the buttons of the iPhone to be very easy to push. The case comes with a belt clip holster but I suggest that you should not use it. This is because the bumper’s tightness to the phone will be affected if you keep moving the case in and out of the belt clip holster. 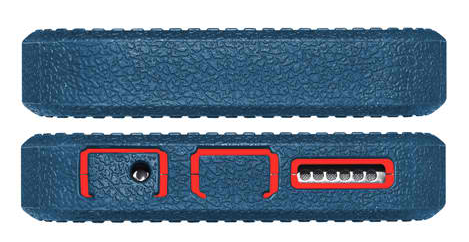 The belt clip holster is not made of high-quality material so it may also easily break. If ever the belt clip broke or the bumper became loose because you used it often with the belt clip, you may still avail the warranty. They normally replace if something got broken or malfunctioned but you will have to pay a shipping cost from $5 to $8 to get the replacement. 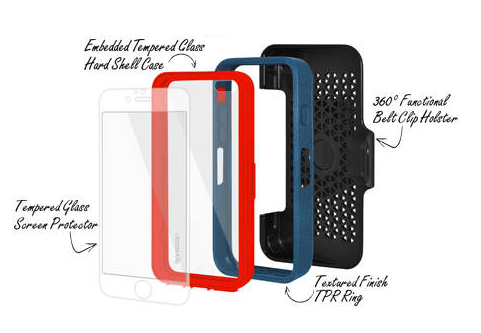 Another cool feature of the case is the tempered glass screen protector. Not only does it protect your phone’s display from scratches, it also provides impact protection. What is awesome about this glass protector is that it does not degrade the quality of the display. The screen protector is so clear that it feels like there is nothing on the screen of your phone. It’s very easy to put on and it also works flawlessly with the Touch ID. Although the glass protector is tempered, note that it may still break when you dropped your phone on a hard surface. Aside from the tempered glass screen protector, it also has a tough shell case. The sides of the shell case are made of durable polycarbonate while the back of the shell case is made of tempered glass like the screen protector. So your iPhone is fully protected from scratch. Since the back of the case is made of clear glass, it will show off the color and beauty of the iPhone. This is perfect if one of the primary reasons you bought your iPhone is because of its beautiful color and design. 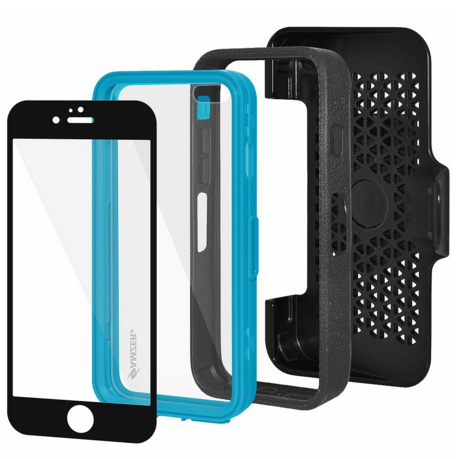 Since this case provides one of the best drop and scratch protection to iPhones, we will compare it with the other rugged iPhone cases. 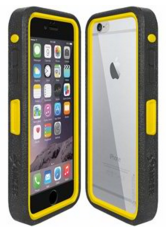 These rugged case brands include the Otterbox Defender Series, Lifeproof Nuud and Fre, Griffin Survivor Summit and All Terrain, and Incipio Performance Series Level 5. When it comes to drop and scratch protection, it is at par with the above cases. A customer once dropped her phone for four stories of concrete stairs. The iPhone bounced down endlessly. Although the case broke, the phone received no damage and scratch saving her more than $900. The Crusta case is a little bulky like the Otterbox Defender Series and Incipio Performance Series Level 5 but not as bulky as other rugged cases like the Griffin cases. The screen and the back of the Crusta case, although adds to the weight, are made of tempered glass. The other brands may have thick screen protectors but they do not provide a tempered glass protection. Another cool thing that you will like about the screen protector is it does not reduce the sensitivity of the touchscreen, unlike the Otterbox Defender series which reduces the screen sensitivity a little. This is one of my concerns about the Otterbox Defender Series because not only does it occasionally affect the Touch ID, it also feels a little bit different when typing something on the screen. Moreover, the Crusta does not degrade the quality of the screen display. Most rugged cases today give a little reduction of display quality. With Crusta, it will feel like there’s no screen protector at all because your iPhone’s screen will still be as clear as it was when it has no screen protector. Like the Lifeproof Nuud case and Griffin Survivor Summit, the back of Amzer Crusta is made of clear material so it will show off the phone’s color. Otterbox cases only show the iPhone logo while the Incipio cases completely hide the design of the back of the iPhone. Compared to the Lifeproof cases and Otterbox Defender Series, the Crusta case has soft areas for buttons so the volume and power buttons are easier to push. When it comes to the retail price of Crusta, it is cheaper and really worth the price. 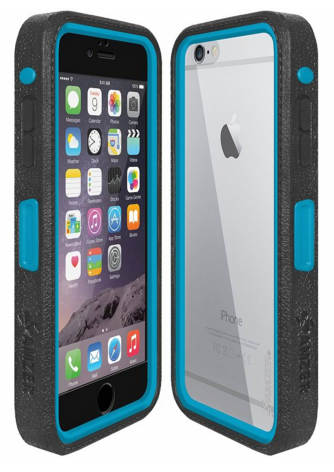 The iPhone 6 Plus ($45.00) Crusta case, for example, is cheaper than the Otterbox Defender Series ($69.90) which gives the same level of drop protection. It is also cheaper than Griffin Survivor Summit ($59.99), Griffin Survivor All Terrain ($59.99), and Incipio Performance Series Level 5 ($49.99). The Crusta, although not water-resistant, is splash-resistant. And it is rightfully half the price of water-resistant cases like the Lifeproof Fre ($89.99) and Lifeproof Nuud ($99.99). Another cool feature of the Amzer Crusta is it provides dust protection. This could save you from repair costs in the future because of dust buildup. The only problem is that the plugs of the case covering the lightning and ear jack from dust may easily break off. It is a little thin and not too flexible. Amzer Crusta also provides splash resistance. Despite that it is so tight, I really like that the case does not degrade the sound quality of loudspeakers or the call quality. Unlike other cases which provide water protection, with Crusta, people calling you can still clearly hear your voice and you can still enjoy the same loudspeaker quality. Like most phone cases, it has a ridge at the front of the case that provides additional protection for the phone’s display. So there’s a better chance that the screen protector will not break even if the phone drops with its screen facing down. Amzer Crusta is definitely one of the best cases that can provide the highest level of protection for your iPhone. It has some small flaws like the design of the holster or the thin plugs for the ports which may break off easily. Compared to other brands, it excels in a lot of other areas such as the clear tempered screen protector, the clear tempered back of the case that shows the iPhone’s design, the bumper with a variety of colors to choose from, and the ease of use of the iPhone’s buttons. On top of that, it provides dust and splash resistance. Compared to the other brands that provide the same level of protection, it’s definitely worth the price.